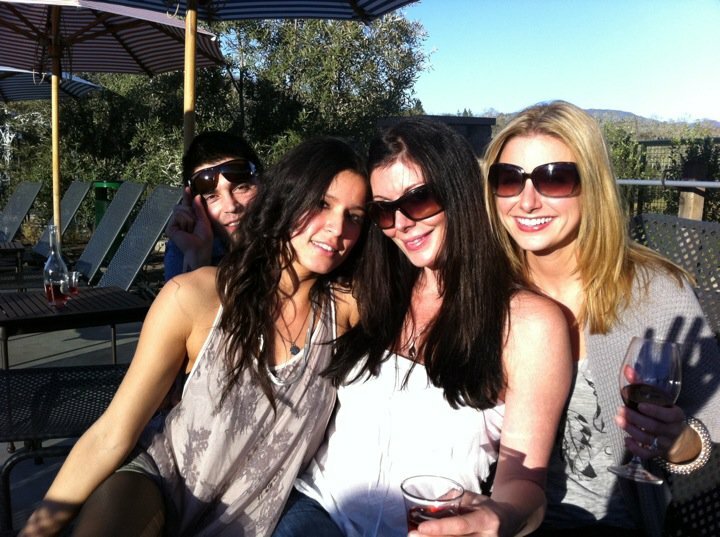 Dakotah, Crystal, Heather and me. 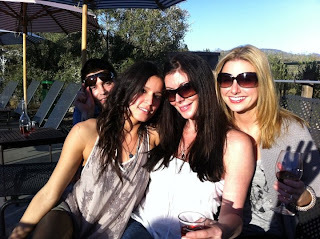 This past weekend, the family and I headed up to wine country to visit our friends. On Saturday we went to the Francis Ford Coppola Winery (heaven) and generally had a fabulous time. (hence no blog writing!) See? Here we are! While the East Coast freezes, we are basking in the upper 60's. California really does have good weather going for it! So here you go--basically, the Packers beat the Bears, Jay Cutler got hurt (so they say) and then his replacement got hurt too. The third string guy was ok, but not ok enough I guess. The Pack is heading to the Superbowl. Over on the other side, the Steelers beat the Jets. Both games were super freezing looking and I managed to watch little bits of them while trying to chase after my two-year old and get in a much needed nap. Some funny stories I've been meaning to tell you. Well, first off my husband clued me in to this little gem. During the AFC Championship, Mark Sanchez picks his nose and then WIPES IT ON MARK BRUNELL!!!! So gross. In other news, people are saying that this is the first time that a player has been so rocked over a social media site (twitter) from other PLAYERS (not just fans) during the game! Apparently Jay Cutler got a knee injury but was shown walking all over the place on the sidelines and not even limping. The jury is still out on what actually happened but he got absolutely creamed by these comments. As one writer put, "seventh grade has taken over the NFL." Really? I think seventh grade took over a long time ago. In any case, we get a weekend off from football (unless you plan on watching the ProBowl, which I'm sure we'll be watching against my will) and then it's the big day on Feb 6th. I hope you all had a great weekend and check back for updates! Jim Harbaugh new coach of SF 49ers!